The extractor arms are robust and easy-to-manouver, based on parallelogram technology and three spring-assisted joints. 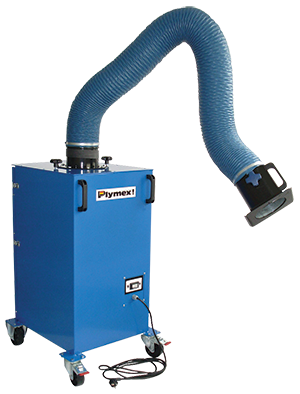 The arms are equipped with a black hood optimized airflow, easy-to-reach handle and built-in damper. 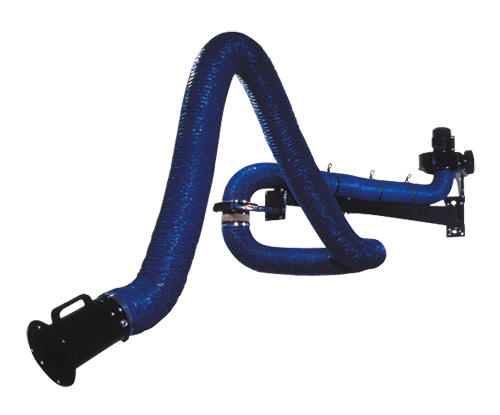 They are flameproof- double-skin flexible hose of PVC Ø160mm with internal steel spiral. A wall bracket is included. 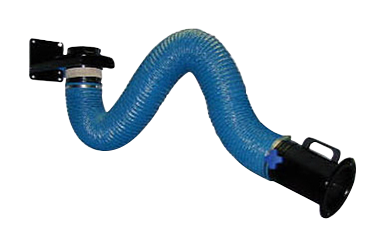 The extraction arms must be combined with an individual extractor unit or a central Middle Vacuum extraction unit. Up to 40 extractor arms can be serviced by the central extraction unit; SM-Fan. Suitable for gas, smoke and light dust. 1 - 4 simultanous users.